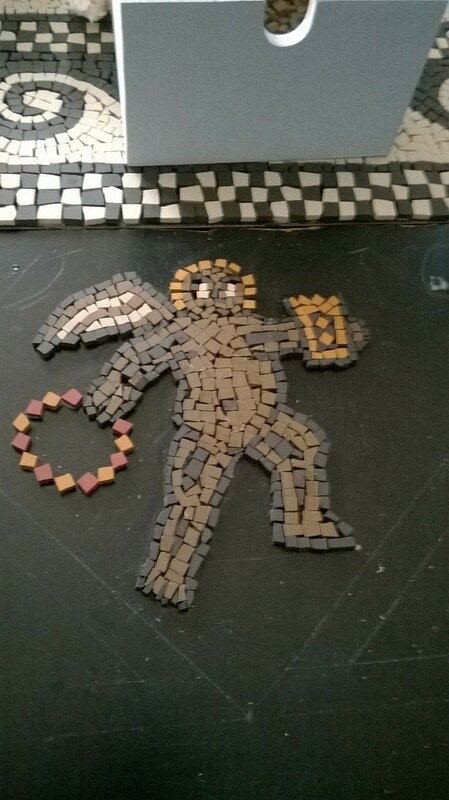 After some more hard work the mosaic is more or less complete now, the last tesserae have been laid, and now it only needs grouting to consolidate it and finish it proper. As the opposite half exhibited a personification of winter, this side is a polar opposite featuring a personification of summer. 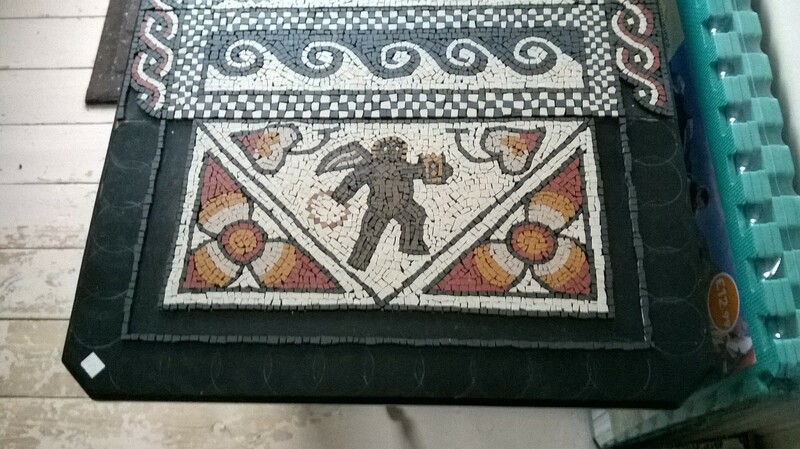 This personification was somewhat harder to execute in tesserae due to the classical trend of displaying summer as unclothed – to demonstrate the warm summer temperatures. 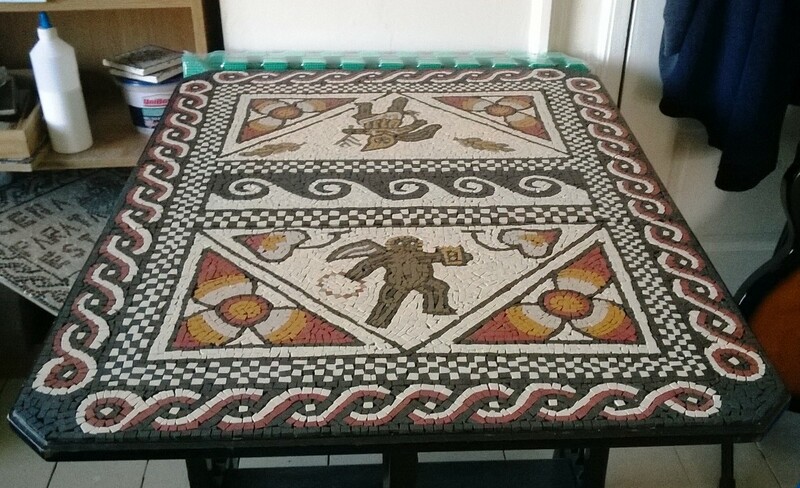 Now that all the tesserae have been laid the overall effect of the mosaic is visible for all to see. Once the its been grouted I’ll take some photos of it in more flattering lights and showing how the pattern works with the sides folded down. Its almost complete, so very almost.